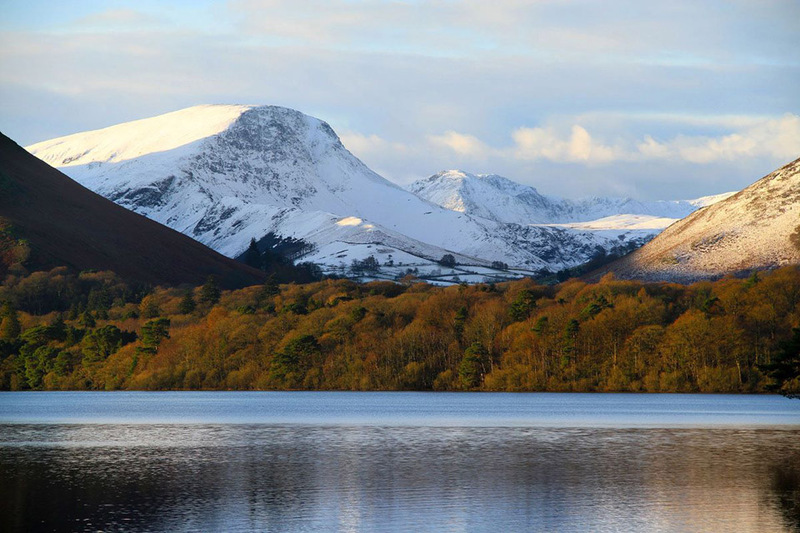 Only time for a quick nip down to the lakeshore to grab some photos of the snowy peaks surrounding Derwent Water - and what fantastic photos they turned out to be! Most photos can be downloaded as a desktop wallpaper by selecting the 'PC Wallpaper' page from the menu above. A truly stunning scene down by the lake shore this morning (thanks to my boss for letting me head down there insead of being at work to get these photos!). The view extends down the full length of Derwent Water to Glaramara and Great End at the southern tip of Borrowdale. 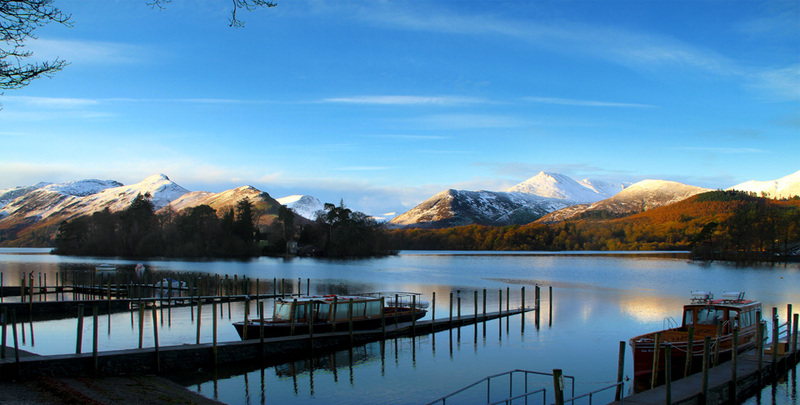 The peaks along the right are Maiden Moor, Catbells, Robinson, High Stile and Rowling End. A close up of Causey Pike with the ridge leading on up to Crag Hill. 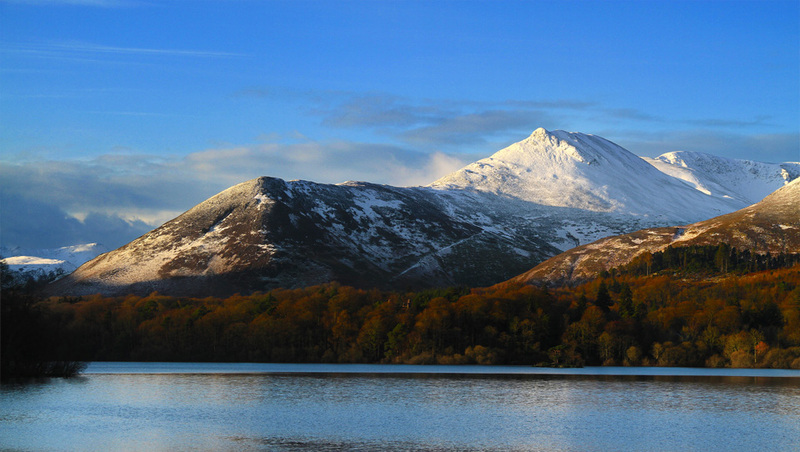 Causey Pike, Barrow and the impressive Grisedale Pike. A close up of Robinson and High Stile. 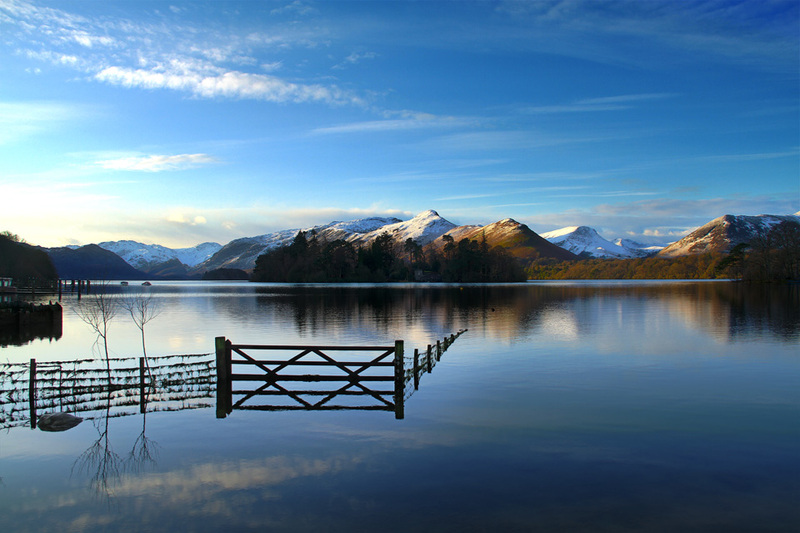 And a last photo of the Keswick Landing Stage looking across to Catbells and Causey Pike. I love the contrast of the blues, whites and oranges.